On the occasion of this year's festival theme of climate change, we have the pleasure of hosting the world premiere of Sirkling by Maja Solveig Kjelstrup Ratkje, with text by Monica Aasprong. Sirkling deals with the environment and nature conservation, flight as a consequence of climate change, and transformation – looking at the cycles of nature and how it is changing. Water has a central place in the work, water is always ancient and new and circles in an eternal cycle between the earth and the sky. Ratkje and Aasprong's new work is also inspired by Henrik Wergeland. He always lifted his gaze from the national and local to the international and global, which is essential in climate matters. Wergeland was also clear that poetry and ideals only have power if they are accompanied by action and active effort by people on what they stand for. Sirkling is the last work in a trilogy for the Norwegian Girls' Choir that contextualises the most important challenges of our time. The concert also includes the previous work Asylos, from 2013. The word "asylum" comes from Greek and means "inviolable". With this work, Ratkje and author Aasne Linnestå wish to put human dignity on centre stage. The theme here is inclusion and exclusion, with a clear link to current asylum issues. Schola Sanctae Sunnivae from Trondheim and mezzo-soprano Marianne Beate Kielland also contribute. The work will be released on CD on the 2L label in 2019. Maja Solveig Kjelstrup Ratkje is an award-winning and versatile composer and performer. 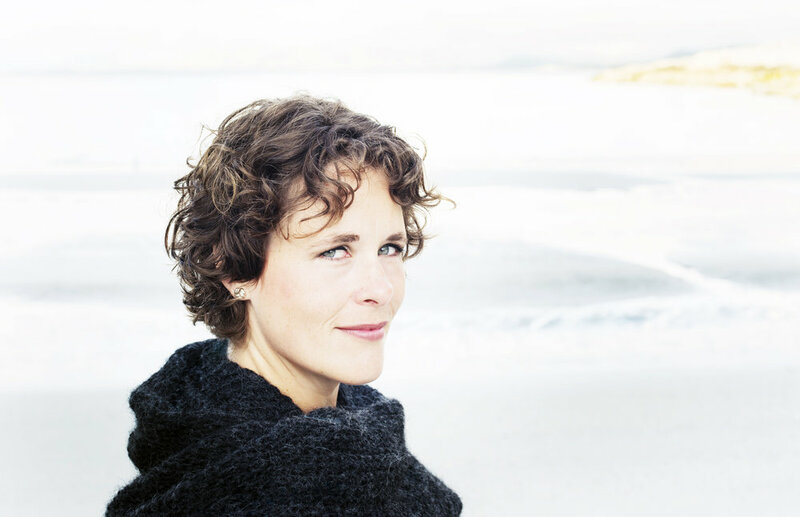 Her music is performed widely, including by Ensemble Intercontemporain, Klangforum Wien, Fretwork, BBC Scottish Symphony Orchestra, Arve Tellefsen, Engegård Quartet, and the vast majority of Norwegian orchestras and sinfoniettas. She has twice been a composer at the Other Minds Music Festival in San Francisco, and festival composer during the Trondheim Chamber Music Festival, Nordland Music Festival Week, Avanti! Summer Festival in Finland and at the renowned festival in Huddersfield. In 2001 Ratkje was the first composer to receive the Arne Nordheim Composer Award. She has also received other awards at home and abroad, including the Edvard Prize (twice) and the UNESCO Rostrum Prize. Monica Aasprong is a Norwegian poet, living in Stockholm. The poetry collections Soldatmarkedet (2006) Et diktet barn (2010) and Sirkelsalme (til Betlehem / til Jerusalem) (2013) are published by Cappelen Damm, but an important part of her work is installations and expressions that explore the boundaries between literature and other art forms. She has previously collaborated with Maja S. K. Ratkje on Soldatmarkedet, a sound installation (2005) in the crypt at Hordaland Artist Centre and Sirkelsalme, a concert (2013) at Kunstnernes Hus in Oslo. Aasprong's latest work is Nomenclatur Mnemosyne which was presented at an exhibition at Kristiansand kunsthall in the autumn of 2018. Marianne Beate Kielland is a mezzo-soprano who studied at The Norwegian Academy of Music and has made her mark as one of Scandinavia's leading singers. She appears regularly on concert stages in Europe and Japan with conductors such as Fabio Biondi, René Jacobs, Jordi Savall, Christophe Rousset, Marc Minkowski and Masaaki Suzuki. 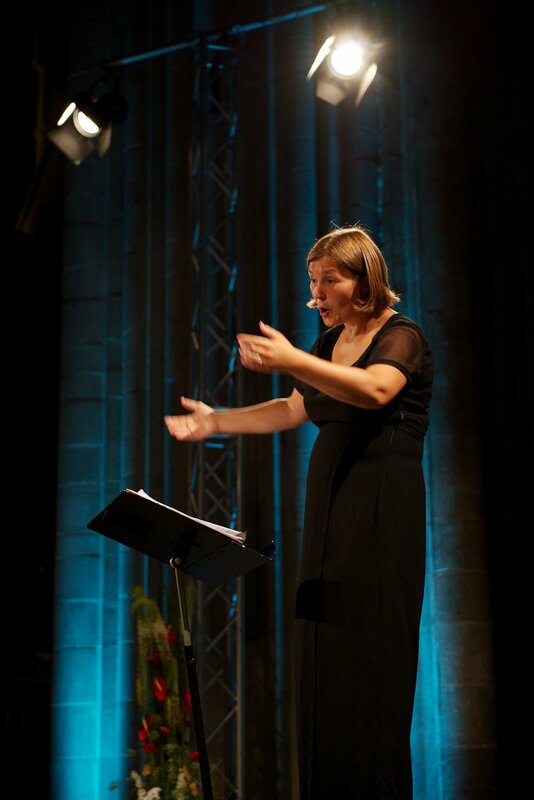 Kielland has made more than 40 recordings, and in 2012 was nominated for a Grammy in the category "Best Classical Vocal Solo" for her CD entitled Veslemøy Synsk with music by Olav Anton Thommessen. The Norwegian Girls' Choir is a choir with proud traditions and a high artistic quality. The talented vocalists are handpicked from all of eastern Norway and only after completing an entrance examination. The Norwegian Girls' Choir is an independent continuation of NRK's girls' choir, which was established in 1947. The Norwegian Girls' Choir is a solid institution on the Norwegian cultural scene and has launched the careers of several great vocalists, musicians and performers. Norway's leading composers write new music for The Norwegian Girls' Choir, and these works take the choir to festivals at home and abroad. Schola Sanctae Sunnivae from Trondheim is a semi-professional vocal ensemble with female singers founded in 1992. The ensemble sees its main task to restore, document and present Gregorian songs from the middle ages in Norway and Europe. From the beginning, Anne Kleivset has been conductor and artistic director of the ensemble, which has toured in Norway and abroad. In addition to promoting early music, the ensemble often works with different genres and newer artistic expressions. As a result, Schola Sanctae Sunnivae has developed its own performances, held countless concerts in various arenas and has collaborated with jazz musicians, folk musicians, symphony orchestras, sinfoniettas, actors and dancers. Anne Karin Sundal-Ask has served as conductor and artistic director of the Norwegian Girls' Choir since the spring of 2005. She is educated as a conductor, flautist and educator. Sundal-Ask has received numerous awards for her choral conducting, and has led several choirs to victory in international competitions. She is described as a quality conscious, focused and inspiring leader and manages to convey her musical goals to the vocalists in such a manner that each one achieves their best performance. The conductor's focus on intonation, sound and ensemble collaboration has become a trademark, and she continuously works to create musical expressions that move both audiences and vocalists.